Look forward to an exciting educational trip through Croatia, Montenegro and Bosnia-Herzegovina. In addition to breathtaking coastlines along the Adriatic Sea, countless cultural highlights await you, including 4 UNESCO World Heritage sites, such as Split or Dubrovnik. Flight to Dubrovnik in Croatia. Our friendly, expert, English-speaking tour guide will greet us at the airport and take us to our modern touring coach. We will then travel to our 4-star hotel in the Dubrovnik region. Today we will explore the harbour city of Dubrovnik, the pearl of the Adriatic. We will browse through the narrow streets and marvel at palaces, churches and sumptuous houses surrounded by a mighty fortified wall. The old town is a UNESCO World Heritage site. We will travel north along the Adriatic, enjoying one of the most scenic coastlines in the world. In the town of Ston, a very special structure awaits us: the 3.4-mile-long fortified wall, which was built in the 14th century to protect the once precious salt extraction plant. After the Great Wall of China, it is the second-longest wall in the world. Not far away is the port town of Neum, a picturesque coastal idyll. We will then travel to our 4-star hotel on the Dalmatian coast of the Adriatic, where we will spend the next 2 nights. Today, we will marvel at no fewer than 2 UNESCO World Heritage sites. After a wonderful panoramic trip, we will arrive in Split. Mighty palaces, columns and squares are reminders of the country‘s former Roman rulers. The Palace of Diocletian (admission included), one of the best-preserved works of Roman architecture in the world, is simply magnificent, and quite rightly a UNESCO World Heritage site. Just a few miles away, we visit the old town of Trogir, which is also a UNESCO World Heritage site. It is cut off from the mainland by a canal, putting it on a small island. On the return journey we will make a stop in the tiny Dalmatian town of Omis. The former pirate colony offers the ideal opportunity to rest and enjoy your surroundings. The next morning, we press on to Počitelj, one of the most interesting villages in the Balkans. Thanks to its history, historic buildings and wonderful location between the Dinar Mountains and the Neretva River, Počitelj has already been nominated as a UNESCO World Heritage site. The well-preserved city walls, towers, stone buildings, mosques and caravanserais bear witness to a splendid past. Our route takes on onwards through the interior of Bosnia-Herzegovina to Medjugorje, which is one of the world‘s most famous sites of Christian pilgrimage with some 2.5 million visitors a year. Here, we will visit this famous holy shrine where the Virgin Mary is said to have appeared to 6 local children. We will stay overnight in the 4-star hotel in the Medjugorje region. After breakfast, we travel to the town of Trebinje, situated in a picturesque spot by a river. Of particular note are the historic city centre ”Kastel“, the Osman Pasha Mosque, the Church of the Transfiguration of Christ and the Arslanagic Bridge, which is the city‘s familiar landmark. We will also visit a traditional carpet knotting factory and admire this centuries-old craft. In the afternoon we will discover one of Montenegro‘s most popular holiday destinations: Herceg Novi. Overnight accommodation is at the 4-star hotel in the Herceg Novi area. To begin with we will travel along the famous Gulf of Kotor and enjoy one of the Mediterranean‘s most fascinating landscapes. We will also take a wonderful 10-minute panoramic ferry trip from Kamenari to Lepetane. The region‘s great tradition of craftsmanship leads us to a jewellery and leather studio, where we will learn some interesting facts about how they are made. The fashionable marina of Porto Montenegro in Tivat now awaits us. We can marvel at the expensive super-yachts of the rich and famous from all over the world. In the afternoon, we will travel to Budva. The old town, at over 2,500 years old, is one of the oldest on the Adriatic coast. We will wind our way through its many narrow alleyways and enjoy its Mediterranean flair. We will spend the night in the Budva area. Our day begins with Montenegro‘s trademark attraction, the famous island of Sveti Stefan. From a splendid viewing point, we will enjoy a fantastic glimpse of this island. Our next destination takes us to one of the most beautiful bays on the European Mediterranean coastline – the bay of Kotor, which is also known as the most southerly fjord in Europe. The harbour town of the same name sits surrounded by the jagged cliffs of the Mount of St. John and the glittering turquoise waters of the bay. On a walk through the town, we will be enthralled by the picturesque setting of this UNESCO World Heritage site. We will travel towards Dubrovnik, where we will stay overnight in multi-star comfort. Today, we say farewell. Our fascinating and highly eventful week is drawing to an end. 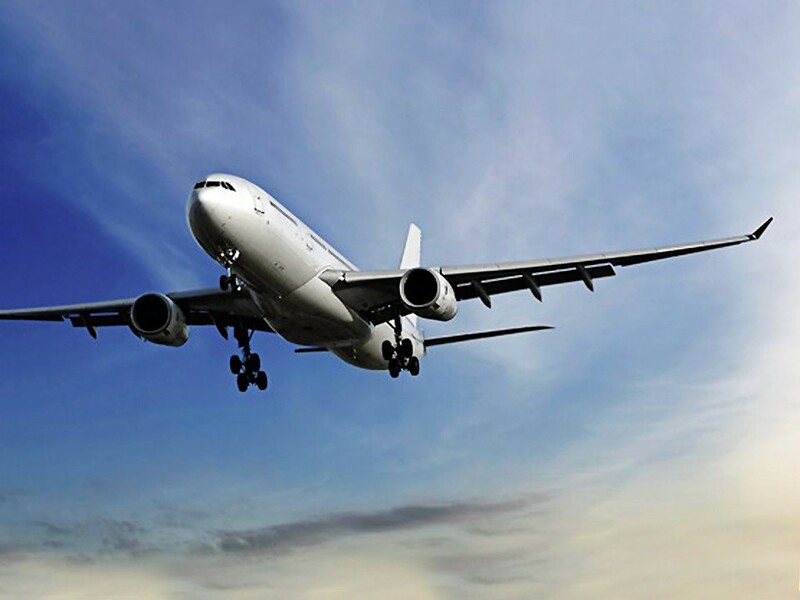 Transfer to the airport and return flight to the UK. Including a spectacular range of excursions + admissions featuring 4 World Heritage sites! The package includes half-board, i.e. 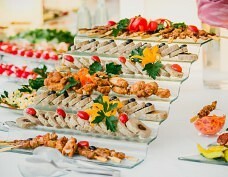 sumptuous buffet every evening with international specialties: only £154 per person. You will love our selected 4-star hotels! Croatia: Croatian; in areas with strong ethnic minorities, also in official use: Serbian, Italian, Hungarian. Montenegro: Montenegrin (primarily Latin script, but Cryllic still in widespread use). Albanian is the official language of instruction in schools in the predominant settlement area of this population group. Pupils there can choose between Montenegrin and Albanian. Bosnia-Herzegovina: Bosnian, Croatian with Latin alphabet and Serbian with a Cryllic alphabet. Mediterranean on the Adriatic coast, temperate inland. Part of the Central European Time zone where GMT+1 applies, along with daylight saving time. 230 V, 50 HZ. An adapter is required. Omit the first zero in the area code. Croatia: British citizens do not need a visa for stays of up to 90 days. Your passport should be valid for the duration of your stay. Nationals of other countries are advised to inquire at the embassies of Croatia, Montenegro and Bosnia-Herzegovina about the entry requirements applicable to them. Your expert tour guides will be able to provide you with detailed information about the country, people, history, culture, etc., and offer advice and assistance for organising your trip. 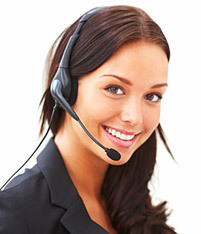 They can also help with room allocation and look forward to welcoming you with initial information. Gourmet package: The package includes half-board, i.e. sumptuous buffet every evening with international specialties. Explorer package: The package includes a visit to Mostar, a boat ride to ”Gospa od Škrpjela“ Island and the ”Dubrovnik by night“ trip. Croatia: The currency unit is the Croatian kuna (HRK). 1 kuna = 100 lipa. Exchange rate (as at March 2019): 1 GBP = 8.64 HRK; 1 HRK = 0.12 GBP. Montenegro: Montenegro belongs to the European Monetary Union, so their currency is the euro (EUR). Exchange rate (as at March 2019): 1 GBP = 1.16 EUR; 1 EUR = 0.86 GBP. Bosnia-Herzegovina: The currency unit is the convertible mark (BAM). 1 mark = 100 fening. Exchange rate (as at March 2019): 1 GBP = 2.28 BAM; 1 BAM = 0.44 GBP. Croatia: Credit cards are accepted in most hotels, restaurants, petrol stations and shops. Cash withdrawals are possible at most ATMs with the EC-Maestro card or a credit card. Many places calculate in euros, but you will pay in kuna. You can exchange cash at banks (closed Saturdays and Sundays) and at many currency exchange offices. Montenegro: Common credit cards are accepted nationwide. ATMs are widely available. Acceptance of V-Pay and Maestro bank cards is limited. These can only be used to withdraw cash at a few ATMs, but not for general payment transactions. Bosnia-Herzegovina: Cash can be withdrawn at ATMs using credit cards and a PIN. Credit cards are increasingly accepted at hotels, restaurants and shops, but it is recommended to pay in cash. To ensure smooth payments, it is recommended to carry bank notes of a smaller denomination. Public institutions (e.g. the post office) only accept payments in BAM. Croatia: For goods of personal use, there are upper limits within which no customs duties are due and which must not be registered at the customs office. The exact quantities can be found from the Croatian customs administration (https://carina.gov.hr/). The value of the goods to be imported may not exceed 430 EUR per person in air transport. Cash and checks must be registered in writing from an amount of 10.000 EUR (or equivalent value). Items brought in or carried that are suitable for an attack, such as pepper spray or knives, must be presented when crossing the border. Violations are punishable by heavy fines. Montenegro: Importing and exporting foreign currencies is permitted up to an amount of the equivalent of 10.000 EUR. Personal need goods may be temporarily imported duty-free, but must be exported again. Certain objects (cameras, laptops, similar) have numerical restrictions. There are restrictions for duty-free import for the following goods: Alcohol (2l wine or 1l spirits over 22%), tobacco products (200 cigarettes or 50 cigars or 250 g smoking tobacco), perfume or cologne (50 grams). Bosnia-Herzegovina: Foreign currencies can be declared, but this is not expressly required. People in possession of a weapon will be rejected at the border. The same provisions as in EU countries apply to the import of cigarettes and alcohol. Further customs information regarding the import of goods can be obtained from the embassy of the country in question. This is the only place from which to obtain legally correct and binding information. The customs regulations for the UK can be viewed on the British Customs Web site www.ukba.homeoffice.gov.uk. Petty crimes tend to be lower in the cities than in some other major European cities. Nevertheless, tourists should take the usual level of care here. European driving licenses and travel documents as well as travel documents with European residence permits are coveted items to steal. Croatia: There are no special instructions. Montenegro: Sexual acts on minors has been punishable since January 01, 2006. The purchase, sale or possession of drugs is severely punishable. This also applies to smaller quantities exclusively for your own use. Bosnia-Herzegovina: Certain buildings and institutions have a no photography policy, which is indicated by the appropriate signage (including US embassy in Sarajevo). Fines must be paid if ignored. It is recommended to be vaccinated against tetanus, diphtheria and hepatitis A. In parts of the country, tick bites can transmit tick-borne encephalitis (TBE), Lyme disease or tick-borne typhus. Before travelling, you should inform yourself of possible vaccinations and how the respective diseases can be avoided or quickly recognised. Eating hygienic food and drink and using mosquito repellent can be used to avoid diarrhoea and other infection diseases. There is no guarantee for the correctness and completeness of the medical information and no liability for any damages that occur. You alone are responsible for your health. Croatia: Acute medical treatment is possible upon presentation of the European Health Insurance Card. Additional payments must be made in some cases. A prompt payment of the treatment costs is demand in some cases. In such cases, it is recommended to have a detailed invoice issued. Costs for repatriation are not covered by the statutory health insurance, which is why it is recommended you get private travel health insurance. In addition to physicians in private practices, there are health centres in many places (“Dom Zdravlja”). Most polyclinics are private practices. Montenegro: Medical care according to British standards is not always guaranteed. Hospitals also do not always have adequate equipment and are sometimes unable to provide patients with certain medical conditions appropriate medical care. Hygienic levels are generally not sufficient. Bosnia-Herzegovina: Medical care in the country is often problematic in many respects. There are few English-speaking physicians, especially outside the major cities. 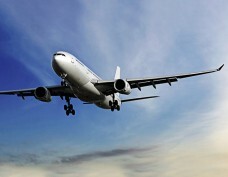 It is recommended to take out foreign health insurance with the option of return medical transport to the UK. You should bring along an individual first-aid kit. Customers should ensure that they are physically and psychologically fit for undertaking the selected trip and make the necessary queries concerning the level of physical and psychological fitness required. Please observe that the excursions are accessible by foot only and that the buses used for the roundtrip are not customised to transport wheelchairs or similar devices. ²RSD Travel Ltd. and RSD Reise Service Deutschland GmbH belong to a European group of tour operators that organises tours for customers from a number of European countries. The survey focused on tourists who travelled with RSD in 2017.